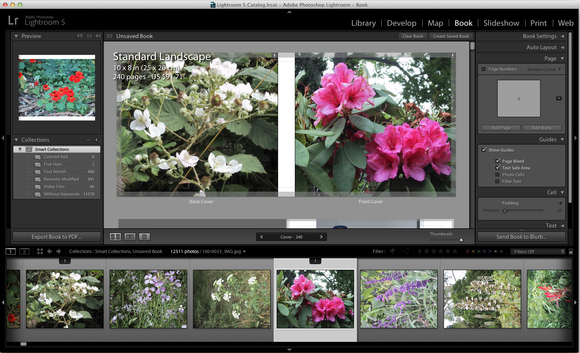 Hands on preview: The fifth incarnation of Adobe Photoshop Lightroom is now out of beta and can now be downloaded as part of the Creative Cloud – or as a standalone app. Should I buy Adobe Photoshop Lightroom 5? 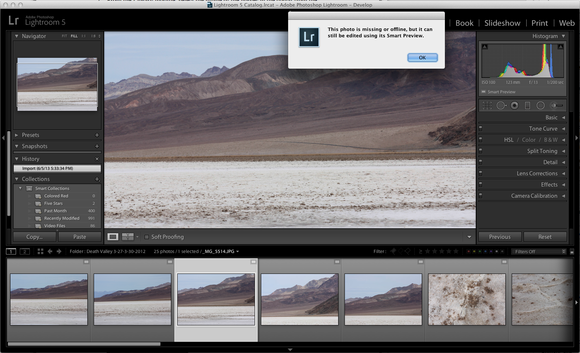 Hands-on preview: Lightroom 5 runs on Mac OS X 10.7 and 10.8 and Microsoft Windows 7 with Service Pack 1 or Windows 8. For the Mac, it requires a multi-core Intel processor and 64-bit support. For Windows, it requires an Intel Pentium 4 or AMD Athlon 64 processor. Price is £85.47, with upgrades costing from £48. 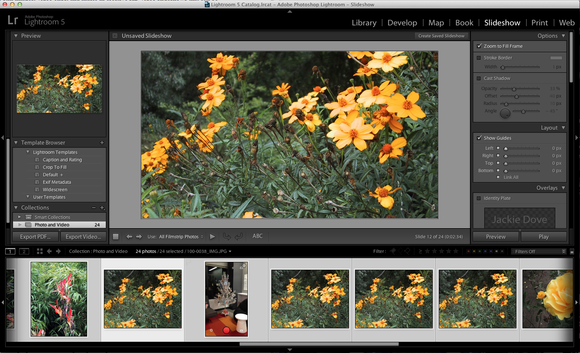 Hands-on preview of Adobe Photoshop Lightroom. The fifth incarnation of Adobe Photoshop Lightroom is now out of beta and can now be downloaded as part of the Creative Cloud cross-platform suite of applications for professional creatives from graphic and web/interactive designers to illustrators to animators, editors and motion graphics and VFX artists. While Lightroom 5 is nominally part of Adobe's new subscription-based Creative Cloud successor to Creative Suite, it differs in that it is not just subscription-based. Adobe is well aware that Lightroom's main audience of professional and amateur photographers won't stump up for a subscription just for this (and Photoshop) – so is selling Lightroom as a traditional download too. Oddly, while Adobe usually charges more than a direct US-dollars-to-UK-pounds conversion rate, Lightroom 5 is noticeably cheaper in the UK, at least if you're a new customer. Lightroom 5 costs about £85 plus VAT in the UK, which US-based photographers will pay $149 (around £97) – though upgrade pricing of £48 is almost the same as the $79 (£50) in the US. This is a reverse of the usual pan-Atlantic differences, such as a Creative Cloud subscription costs $49.99 per month when bought for a year, equivalent to £32. Here in the UK, we pay £39 plus VAT. Lightroom is popularly considered as a competitor to Apple's Aperture – which is not strictly a photo editor, but a photo management tool. That said, both have extensive photo editing capabilities – so much so, that many Adobe photo hobbyists may now consider Lightroom a substitute for much of what they can accomplish in Photoshop, for a lot less money. By itself, Lightroom 5 has some handy new features, including a more advanced, flexible healing brush, the Upright straightening tool, a radial highlighting gradient, smart previews for remote editing, video slideshows, and advanced photo book creation capabilities, among many other enhancements. Lightroom 5's advanced healing brush offers many points of entry to remove unwanted parts of a photo, like the leaf that mars this alligator's handsome face. While the Healing Brush – used to remove unwanted objects or people from photos—has been part of Lightroom (and Photoshop) for some time, the new Lightroom version features more advanced technology. Previously, the brush offered only a circular shape, making it difficult to remove oddly shaped objects from a photo. Version 5 lets users adjust the size of the brush and move it in precise paths. 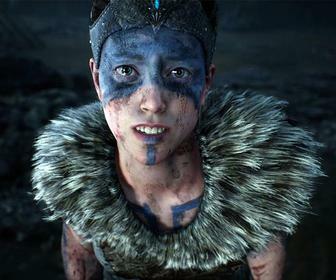 Sliders let you adjust the size and opacity of the fix. This improvement will prove especially convenient for removing facial flaws from portraits. Under the Lens Corrections section, first enable profile corrections, then click the Upright tool in four configurations to straighten an angled photo. Images get skewed for a variety of reasons, ranging from not holding the camera straight, taking photos from an odd perspective, using the wrong lens for a shot – you name it. The Upright tool is a one-click straightener for off-kilter images. Upright analyzes images to detect skewed horizontal or vertical lines and lets you choose one of four correction methods. Clicking the Manual tab lets you make additional adjustments. Upright can even straighten images where the horizon is hidden. The radial gradient lets you highlight important parts of the image better than a traditional vignette. It's not exactly an optical illusion, but Lightroom's new radial gradient helps train the viewer's eye toward significant parts of the photo by creating off-center vignette effects, or multiple vignette areas within a single image. Use this effect with busy photos to naturally draw the viewer's eye toward the important aspects of the picture without having to crop away all the detail. Just click and drag an oval around the part of the image you want to emphasize, then drop the Exposure, Sharpness, and Clarity sliders to modify everything outside of the oval. You can also blend the adjustment by dragging the Feather slider to the right to widen the feathered area or to the left to narrow it. Even if your full-size images are not on your hard drive, Smart Previews will let you work with them and apply edits when you connect back with your images. With new solid-state drives and lightweight laptops, photographers can carry significant portions of their photo library on the road – but not everything. The new Lightroom 5 lets you work with smaller previews of your images called Smart Previews while your full-size library of high-resolution and Raw images stays safe at home. Make non-destructive adjustments or metadata additions to Smart Previews and apply your changes to the full-size originals later. Generating Smart Previews on import gives photographers the freedom to disconnect from their storage device. To build smart previews while importing, just check the Build Smart Previews checkbox within the File Handling panel in the Import dialog box. Combine stills and video and music into a creative HD slideshow. 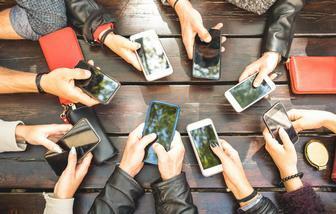 Photographers are increasingly seeking innovative ways to share both still images and video clips in a single showcase. Lightroom 4 let photographers work with video clips – from organizing, viewing, and making adjustments and edits to playing and trimming clips and extracting still images from video footage. Lightroom 5 lets you combine pictures, video, and music into HD video slideshows for viewing on almost any computer or device. The Book module lets you create photo books with various presets, that you can print in PDF via Blurb. Lightroom 4 introduced the workflow for creating photo books, and with Lightroom 5, photographers can customize photo books even more, with numerous easy-to-use templates that you can edit for a customized look. Add page numbers, photo captions, and captions for an entire page. The program lets you customize font style, colour, size, and more with the same text technology available in Adobe InDesign. Plus, once you perfect a layout, you can save and reuse it. Sharing the book is also easy: You can export it to a PDF for online viewing or directly upload it to the online printing site, Blurb. Lightroom 5 runs on Mac OS X 10.7 and 10.8 and Microsoft Windows 7 with Service Pack 1 or Windows 8. For the Mac, it requires a multi-core Intel processor and 64-bit support. For Windows, it requires an Intel Pentium 4 or AMD Athlon 64 processor. Price is £85.47, with upgrades costing from £48.